Have Ocean Freight Rates for 2017 Exceeded Last Year’s Expectations? At the beginning of the 2nd quarter of 2017, the IMF raised its outlook for 2017 with a projected rise in economic growth from 3.1% in 2016 to 3.5% in 2017 and 3.6% in 2018. This is an encouraging sign especially for trade as this projection is slightly higher than the 3.4% projected at the beginning of 2017. What is encouraging for trade will naturally be supporting for shipping and ocean freight prices too. In October 2016, we asked social media friends what their overall ocean freight rate expectations were for 2017. Over half (56%) of the survey respondents expected rates to increase while 44% believed rates would remain stable. An interesting response to the survey was actually that no one seemed to expect that would decline in 2017. So, did the market respond as predicted in the survey results? As discussed in our webinar for transportation professionals on the 5th of July, we identified that over a 12‑month period the main China to Europe corridor has been highly volatile. Although the market went into 2016 on a spike influenced by the Chinese New year, in Q2, the freight averages stabilized to what was seen for the last nine months or so. Short-term and long-term markets behave differently and from 2016, the short-term market has moved down and then picked up whereas the long-term market has moved substantially up over the last 9-12 months and this is attributed to contracts on the long‑term market expiring less frequently. As per the data analyzed, the indications are that the market is continuing to pick up, and that long‑term contracts are expected to continue increasing. In what could be a windfall for the shipping lines, due to the new alliances that came into play in April 2017, the market average for a 40’ was almost 4x the short-term market average compared to a year ago. Alphaliner notes that the number of weekly services on Asia-Europe routes has been reduced from 2015’s 21 loops to a maximum of 17. Meanwhile, at least three loops have been suspended on the Trans-Pacific route. This could be an indication of carriers’ strategy to revive freight rates through capacity reduction or control, and we see the launch of the three new shipping alliances in April 2017 also a step towards this. Alliance members are careful to avoid any co-ordination of ocean freight prices based on the the anti-collusion and anti-competition monitoring and regulatory approvals and therefore in 2017 we expect that capacity optimization will be the game changer. With the increase in mega ships in the main trade lanes of the world, carriers are expected to increasingly look at the port pairs that are most productive and profitable for them and focus their efforts on those trade lanes. 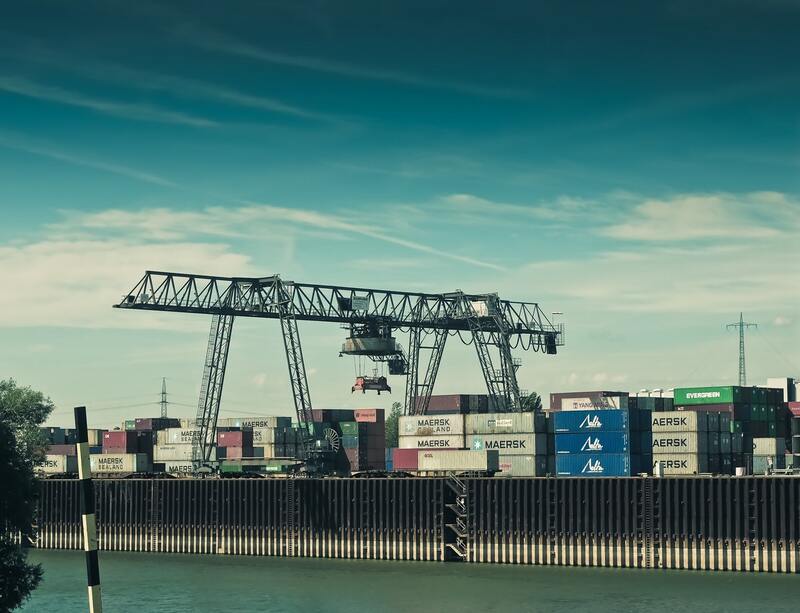 Much of the focus is expected to be on reducing the average price per call per port on the one hand and working on increasing the ocean freight price for those productive ports which offers customers a quicker transit and sustainable service offering. Another means of optimizing capacity is reducing it. According to the Wall Street Journal, about 1,000 ships with a combined capacity to carry 52 million metric tons of cargo will be sold for scrap metal this year. That is second only to the record amount of capacity of 61 million metric tons that were scrapped and recycled in 2012. Through our market intelligence and data inputs we have seen that in Q1, a lot of our customers waited or delayed their negotiations until after the Chinese New Year. In the same period, shippers were also trying to finalize the rates for the rest of 2017 or the next 12 months with the uncertainty of the rate actions of the new alliances hanging over their heads. Albeit, not an immediate surge in ocean freight prices, on the whole, there is indication of a market trending upwards very, very (turtle pace) slowly in 2017. This ties in perfectly with the expectations raised by the IMF on global growth/trade which will impact ocean freight prices. Regarding the future outlook of ocean freight prices for 2017, it is a bit too soon to see any real impact the new alliances have made regarding ocean freight prices and capacities in the market. Even though in the interim from what we have seen it seems that the carriers have been able to push through higher ocean freight prices across the board, it would be interesting to watch and track how this will develop through the rest of 2017 once the impact of the new alliances becomes clear.